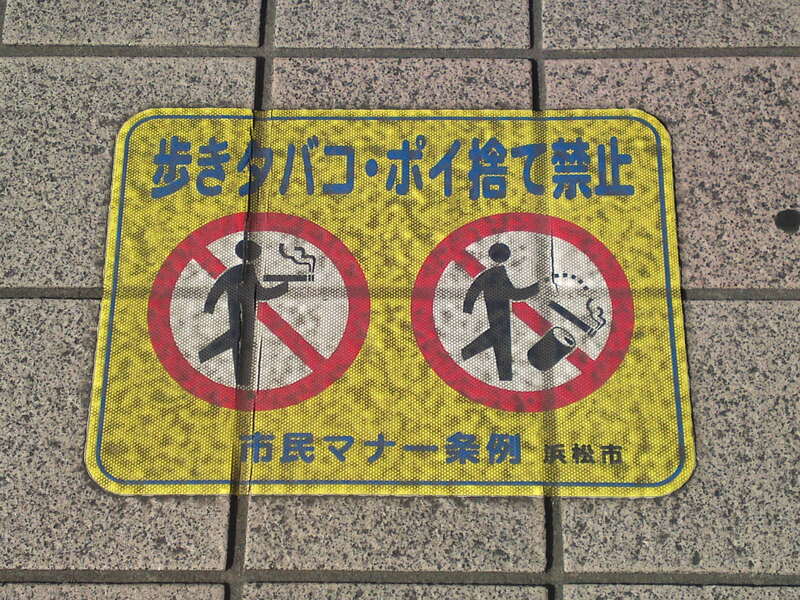 Non-Smoking Japan: No Smoking Pavement Sign in hamamatsu City! I saw some (only a few unfortunately) of these signs south of Hamamatsu City JR Station. The great thing is taht not only it asks people not smoking while walking along the pavement, but also warns not to throw cigarette butts or empty cans on the pavement! “For the ske of goo manners in our city” says the line at the bottom. Still some hope left if cities start a real non smoking streets campaign. So far in Shizuoka Prefecture, Shizuoka City is the most ahead!